It took a wicketkeeper only called up as cover for the injured Jonny Bairstow to provide the application and composure yesterday that was woefully lacking in England’s reckless top order on a mercifully dry first day of this Test series. Ben Foakes, one of two Surrey debutants in this unconventional side, swapped the chaos of a first morning that saw England lose five cheap wickets with a calmness which enabled them to claw their way back into contention. 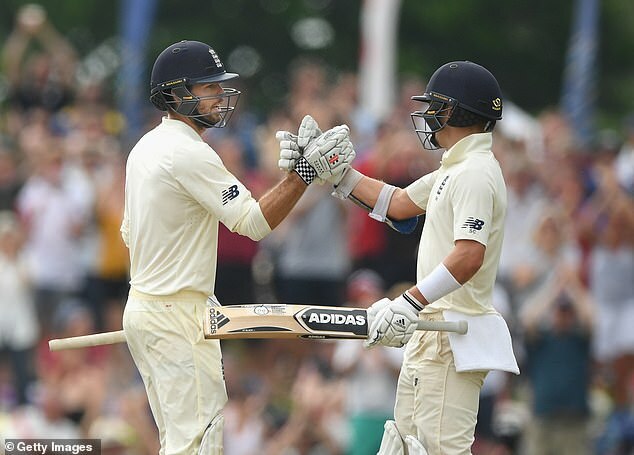 And, with help from Sam Curran and Adil Rashid, Foakes demonstrated why there must still be a place in the helter-skelter world of modern cricket for Test match tempo batting and an ability to play each ball on its merits. 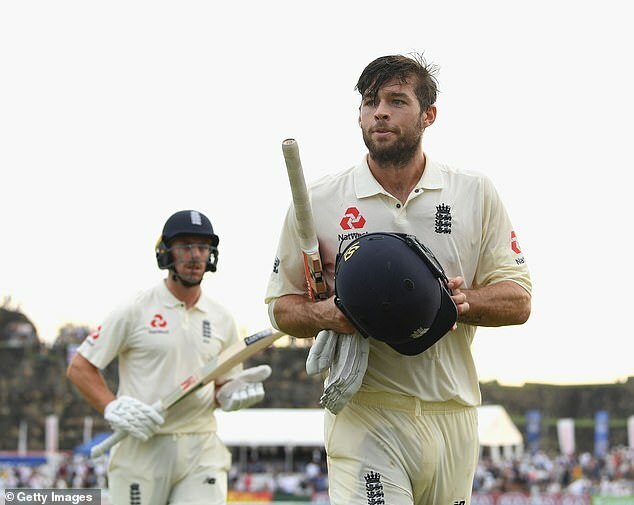 England only decided to hand a first cap to Foakes when their Plan A without Bairstow of batting Joe Denly at three and giving the gloves to Jos Buttler was undermined by the Kent man’s struggles in what passed for warm-up matches. That meant Moeen Ali stayed in the problem No 3 slot and room was found for a man who impressed coach Trevor Bayliss as a non-playing reserve during England’s long winless winter last year in Australia and New Zealand. How Foakes took his chance, showing that on top of being, in Alec Stewart’s opinion, the best keeper in the world he is also a stylish, orthodox batsman who rose to one of the most demanding occasions in Test cricket. 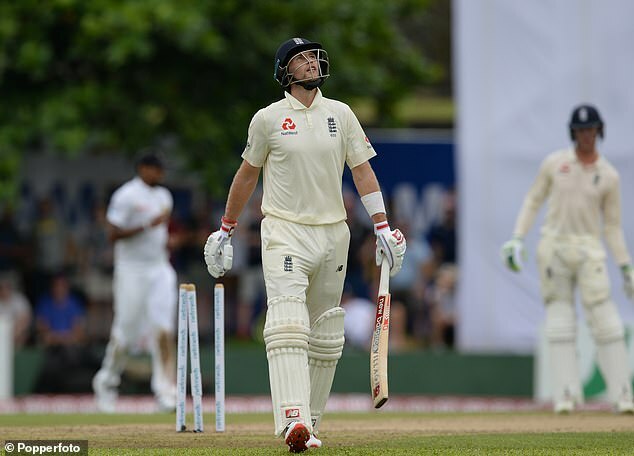 Sri Lanka in Galle can be pretty much as tough as it gets but that does not excuse England’s brainless capitulation that saw them gift the home side the advantage in a frenetic, dismal passage of play. Joe Root pledged a bold, adventurous approach to try to finally bring an end to England’s 13-match long winless run away from home but instead they again failed to marry their positive intent with a responsible approach. None was more culpable than the captain who set a bad example to his team with a skittish, frenetic innings that did little justice to his talent before he yorked himself trying to advance down the pitch at Rangana Herath. 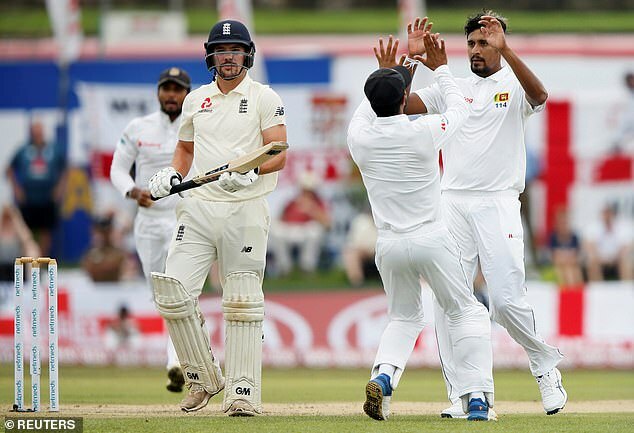 When Rangana Herath bowled Joe Root, he become only the third player to take 100 Test wickets at a single venue. 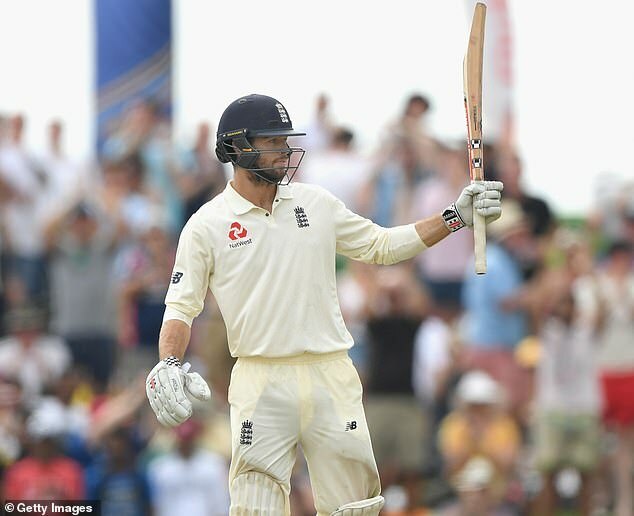 His Sri Lankan compatriot Muttiah Muralitharan did it at three (Colombo’s SSC, Kandy and here at Galle), while Jimmy Anderson ticked off his century at Lord’s earlier this year. Ben Foakes is the fourth wicketkeeper in a row to score at least 50 on Test debut for England, after Matt Prior (126 not out v West Indies at Lord’s in 2007), Tim Ambrose (55 v New Zealand at Hamilton in 2007-08) and Jos Buttler (85 v India at Southampton in 2014). 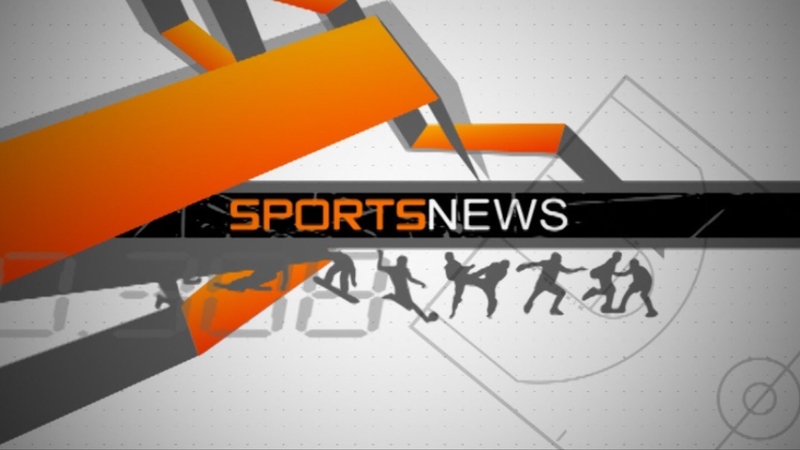 Jonny Bairstow’s Test debut, in 2012, came as a specialist batsman. 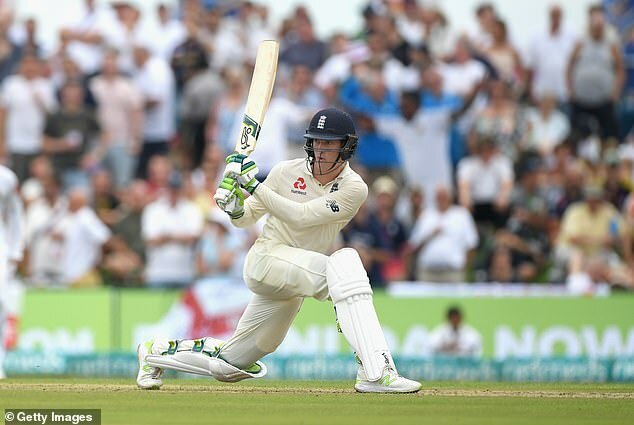 Keaton Jennings made 46 – his highest score in 11 innings since returning to the Test team against Pakistan at Headingley in June. But his failure to convert it into a 50 means he has now gone 19 Test innings without a half-century, stretching back to December 2016 in Chennai. Sam Curran continued his habit of chipping in with useful runs from No 8. His 48 was the eighth time in his nine Test innings he has scored at least 20 – and he now averages nearly 38, more than anyone in this side bar Joe Root. Root was a worthy 100th Test victim at this special ground for Herath, whose last Test appearance was greeted with a guard of honour and an explosion of fireworks, but it was one that was simply handed him on a plate. 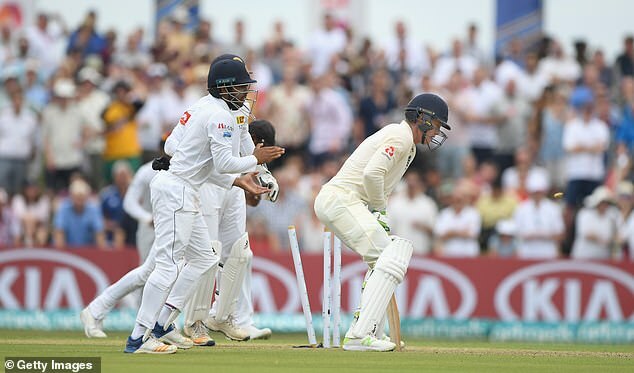 It went from bad to worse for England when Keaton Jennings, playing as well as he has done since recalled last summer, undid his good work in reaching 46 by trying to cut a ball from Dilruwan Perera that hit his leg-stump. 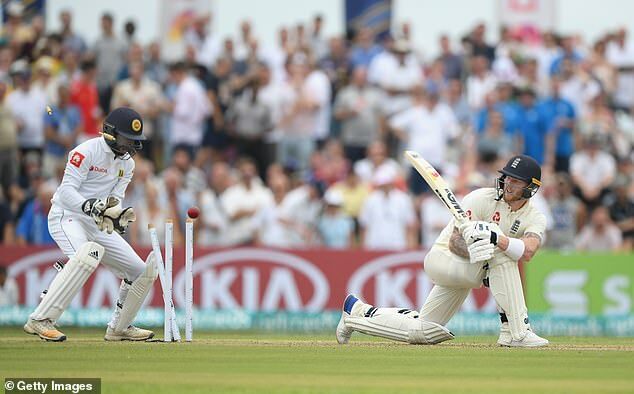 Then the worst dismissal of the lot came when Ben Stokes, again trying too hard to take the initiative away from the home attack, attempted a dab sweep at Perera and got so far outside his stumps he ended up being bowled middle. 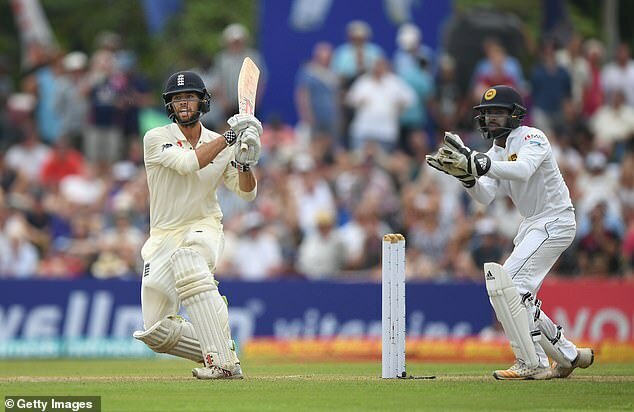 That left England 103 for five, a development almost as unexpected as a full day’s play following the torrential rain here coming in the fourth over when Sri Lanka’s only seamer Suranga Lakmal took two wickets in successive balls. 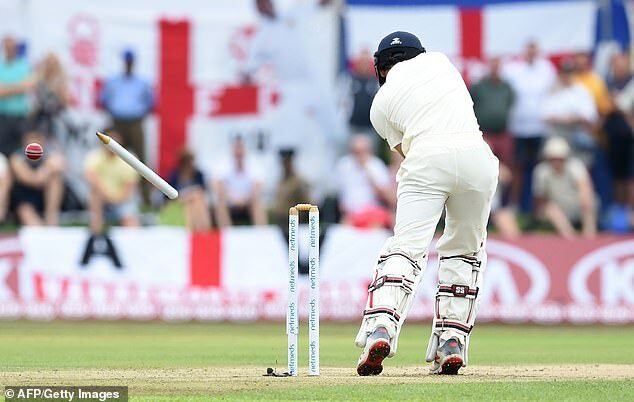 Rory Burns, stepping into the giant shoes left vacant by Alastair Cook, was perhaps unlucky to be caught by keeper Niroshan Dickwella down the legside but Moeen was careless in missing the first, straight ball propelled at him. Enter Foakes whose batting potential was first spotted by Graham Gooch at his native Essex and who would have played for England before now had they not been blessed with world-class batsman-keepers in Bairstow and Buttler. Foakes found his path at Chelmsford blocked by the keeping brilliance of James Foster but fulfilled that immense promise on the Surrey production line and now became the fourth successive keeper to make a half century on debut. It was Bayliss who said earlier this year that Foakes could play for England as a specialist batsman and clearly both he and his assistant Paul Farbrace were keen on bringing him here in conditions where safe keeping is paramount. That plan was shelved when Buttler re-emerged as a Test batsman last summer and it was felt unnecessary to bring three ‘keepers’ here. But injury gave Foakes his opportunity and, if he keeps anywhere near as well as he can, then he will have made a compelling case for a regular place here.